Free speech is under fire. Online thugs are targeting bloggers (mostly conservative, but not all) who have dared to expose a convicted bomber and perjuring vexatious litigant now enjoying a comfy life as a liberally-subsidized social justice operative . Where do your elected representatives stand on this threat to our founding principles? As online conservatives and now ABC News  have reported, recent SWAT-ting victims include New Jersey-based Mike Stack , a blogger and Twitter user targeted last summer after helping to expose disgraced former N.Y. Democratic Rep. Anthony Weiner’s shady social media activities; California blogger Patrick Frey, a deputy district attorney at Los Angeles County District Attorney’s Office who recently posted a bone-chilling account and audio  of his summer 2011 SWATting at his blog, Patterico.com ; and CNN Contributor and RedState.com managing editor Erick Erickson , whose Georgia home was targeted by a faker claiming an “accidental shooting” there late last month. A common thread among these and other online targets: They have published web links, commentary, or investigative pieces related to Brett Kimberlin , the infamous “Speedway Bomber.” In 1978, Kimberlin was sentenced to more than 50 years in federal prison for drug dealing, impersonating a federal officer, and a week-long bombing spree in Speedway, Indiana. The violent crimes left one victim so severely injured he committed suicide. A civil court awarded the widow of the victim, Carl Long, $1.6 million. Kimberlin was released from jail in 2001, but has yet to pay up. Investigative journalist/researcher Mandy Nagy , who blogs at the late Andrew Breitbart’s Internet media powerhouse Breitbart.com , dared to chronicle Kimberlin’s lucrative business and political ventures over the past two years. Kimberlin has a large hand in two well-funded outfits, Velvet Revolution  and the Justice Through Music Project , that have received funding  from the likes of George Soros’s Tides Foundation  and left-wing activist/singer Barbra Streisand. The charitable groups have viciously attacked prominent conservative individuals and groups, including Breitbart, investigative journalist James O’Keefe, and the U.S. Chamber of Commerce. Nagy has been hounded relentlessly online and falsely accused of wild criminal conspiracies by Kimberlin associates for blowing the whistle on his shady online network. After providing brief pro bono legal services to a liberal blogger who refused to whitewash Kimberlin’s past, conservative blogger and lawyer Aaron Walker lost his job. His employer was terrified by the thought of Kimberlin bombing his office and also fired Walker’s wife, who had worked for the same firm. Walker is embroiled in Kafkaesque, free speech-squelching litigation with serial lawsuit filer Kimberlin in Maryland. 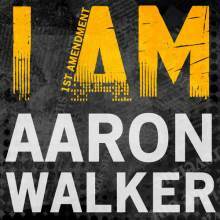 Last week, an inept judge who admitted abject ignorance  about the Internet – and appalling apathy toward key, free-speech Supreme Court cases  — essentially gagged Walker from exercising his First Amendment rights and blogging about Kimberlin. (AUDIO at Lee Strahanan’s. Transcripts at Patterico’s .) Kimberlin pulled off a snow job  in court, bizarrely claiming that an independent online effort to support Walker and expose Kimberlin’s past amounted to a criminal terror campaign against him. Renowned constitutional law professor Eugene Volokh  of UCLA is providing pro bono help to appeal the order against Walker. National Bloggers Club President Ali Akbar was targeted for spearheading charity efforts for Kimberlin targets; stalkers publicized his mother’s home, and Texas authorities are now investigating. Another conservative blogger who had the audacity to report on Walker’s plight , Robert Stacy McCain, was forced to move out of his home  last month after Kimberlin phoned his wife’s employer and intimidated his family. Members of Congress swore an oath to uphold the Constitution — all of it. Who means it?